Radon is a naturally occurring environmental toxin. It’s the second leading cause of lung cancer in the United States, and therefore worthy of our consideration. The good news is that this toxin is relatively easy to identify and mitigate. Radon is a colorless, chemically unreactive inert gas. You cannot smell, see, or taste radon. It is the heaviest known gas, nine times denser than air, and occurs as part of the normal radioactive decay process. It enters our living spaces via the ground, groundwater, or building materials. Holes or cracks in the foundation may be a clue that radon is an issue. 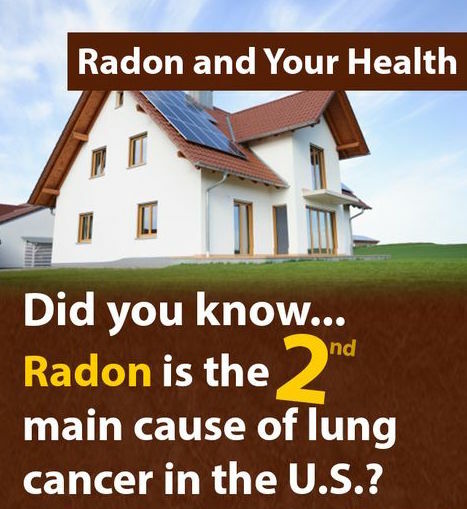 Since human senses cannot detect radon, your environment must be tested. Radon 911 Inc. conducts radon testing using an electronic instrument called an active continuous radon monitor provided by Radalink. They work by continuously measuring and recording the amount of radon or its decay products in the air of the home every hour for a period of no less than 46 hours. Radon 911 Inc. provides an active pressurization system designed to increase the air pressure in the home, thus preventing radon gas from entering the home through cracks in the foundation. This system also increases air exchanges in the home, thereby reducing the concentration of radon gas in the home.